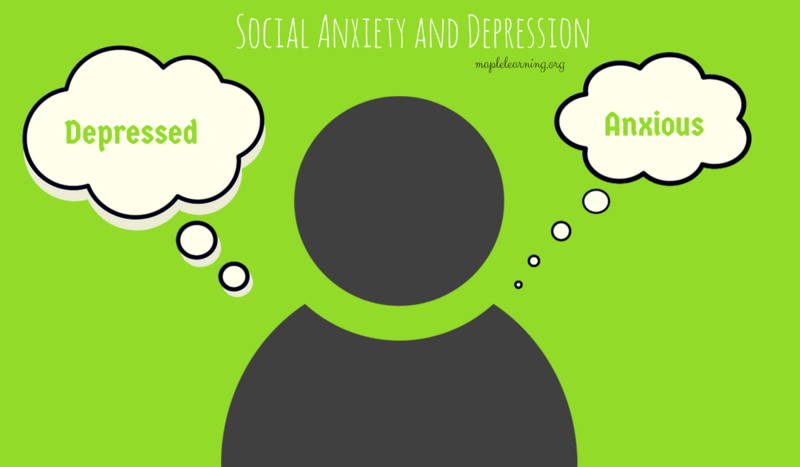 Social anxiety is prevalent among college students, and it’s one of many mental health issues that affect college students. Anxiety always gets in the way of students’ life. Many students feel overwhelmed with academic pressure, family and social pressure that affect their mental being. Anxiety is also one of the contributing factors to depression. Physical well-being signs: Changes in sleep habits such as sleeping more than the person normally do, difficulty falling asleep or staying asleep during the night, or wake up but feel unrested. Appetite changes such as a loss of appetite or overeating. Emotional signs such as feeling sadness, feeling of being overwhelmed, feelings of hopelessness, and feelings of powerlessness. Thinking symptoms such as seeing a glass ‘half-empty’ or ‘half-full,’ having concentration difficulty and paying attention which resulting in difficulty accomplishing work tasks. If you know and experience any of these symptoms, you may have depression. Don’t hesitate to seek help from mental health professionals. Students face a variety of problems in college especially during a college transition where they “experience many firsts, including new lifestyle, friends, roommates, exposure to new cultures and alternate ways of thinking,” said Hilary Silver, M.S.W., a licensed clinical social worker and mental health expert for Campus Calm.3 As a result, they are prone to stress that contribute to the risk of developing clinical depression and anxiety. Depression is a complex disease. It is difficult to determine the underlining cause of depression. There is more to it than just a result of a chemical imbalance. Research suggests that “depression doesn’t spring from simply having too much or too little of certain brain chemicals. Rather, there are many possible causes of depression, including faulty mood regulation by the brain, genetic vulnerability, stressful life events, medications, and medical problems.” 4 Scientists continue to research and learn more about the biology of depression in the hope that they will be able to find a cure or a way to make better treatments that suit each individual. It is important for students who experience living with anxiety and depression to seek help from mental health professionals immediately in spite of the long wait times. College and university mental health services may not be perfect yet, but at least the help is available to those who need.